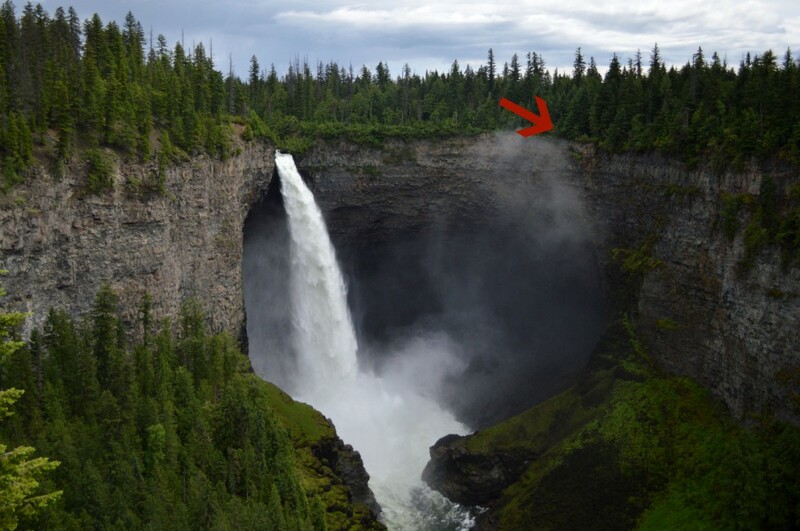 With two ways to view, Helmcken Falls’ 141 m (463 ft, nearly three times that of Niagara Falls!) 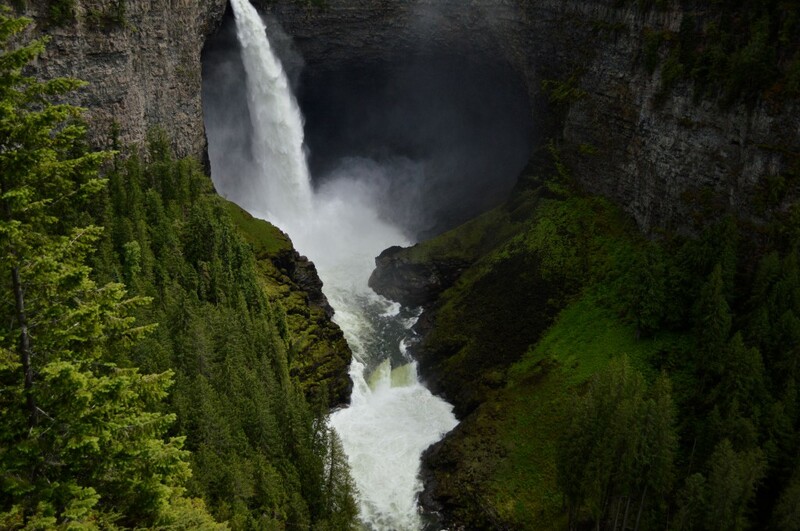 of awe-inspiring water power was something we simply couldn’t miss while BC was experiencing record water levels throughout the province. 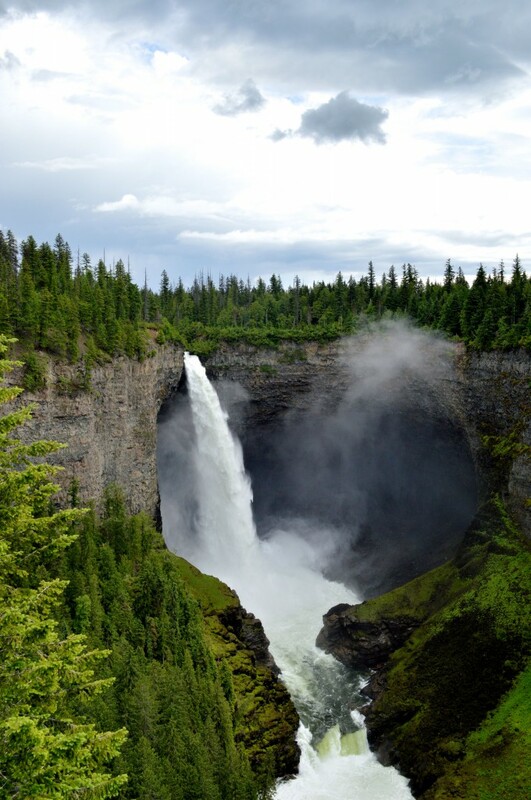 Located in BC’s beautiful Wells Gray Provincial Park, the falls are viewable up-close-and-personal via an 8 km hike, or from a public viewing platform that you can drive and park very close to. 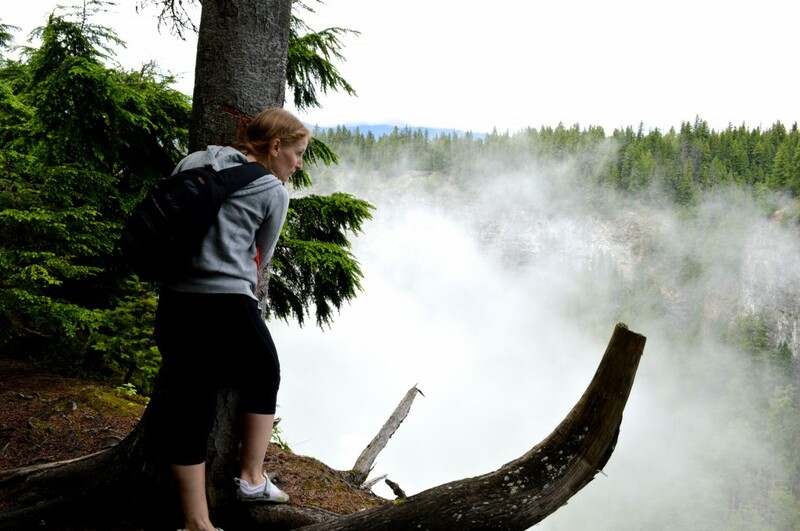 We chose to hike in first for maximum effect, and then head over to the viewing platform on the other side of the Murtle River afterwards, for the classic photo opp. The South Rim trail into Helmcken Falls offers parking at the trailhead and the trail itself is soft-packed earth, with minimal elevation change – a very pleasant hike that takes less than three hours in-and-back. We could hear the sounds of the rushing river as we hiked through the forest and were treated to the scent of wild roses growing along the trail, as well as carpets of dogwood flowers and a variety of wild mushrooms. We stopped at the river to fill our canisters with ice-cold mountain stream water and headed for the first of the viewpoints along the trail. The view was well worth the hike! The power of the water was immense, but the force creates clouds of spray through which the sunbeams form a beautiful rainbow. 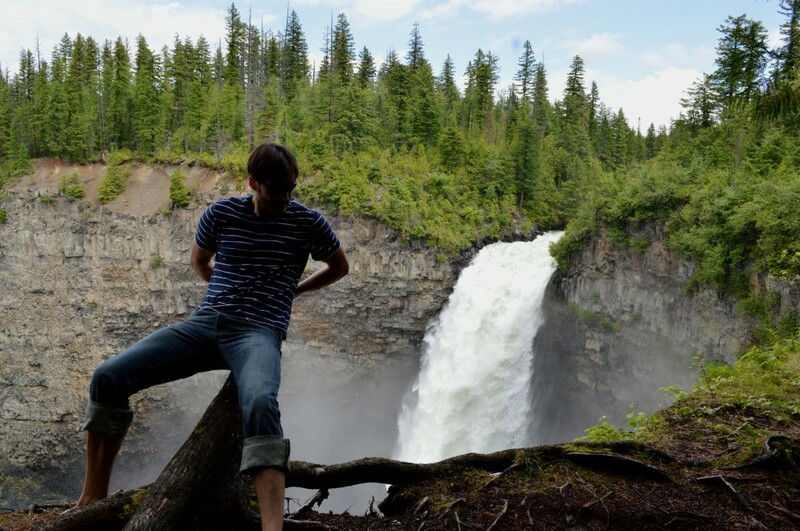 I clutched tightly to a nearby tree as I peered over the edge into the deep water-carved canyon below; Yancey was substantially braver and posed on an over hanging stump. After our pleasant hike into the falls, we paused to enjoy a picnic lunch with our unbeatable natural backdrop. 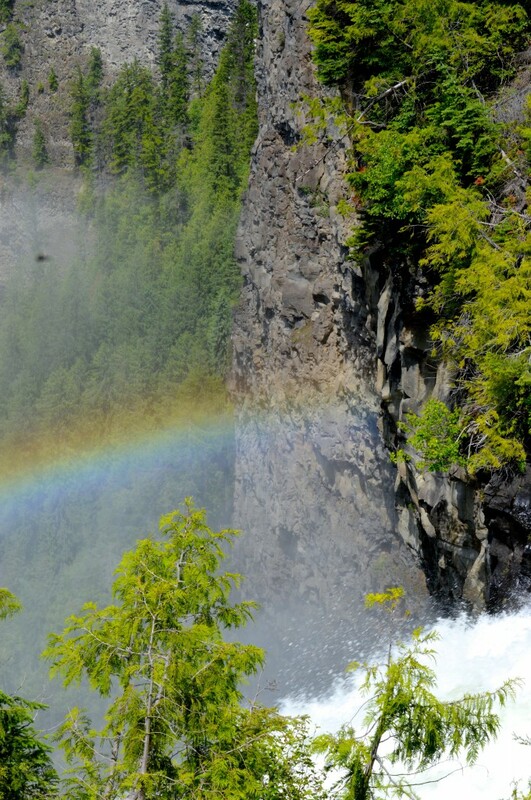 We then headed back out the trail, into the car, and after a shot drive were touring the viewing platform with its posted history of the area and taking advantage of the changing in the light for a few more pictures of Helmcken Falls. Picture perfect horsetail form, set against the verdant green moss backdrop that is fed by the falls’ ever-present mist. 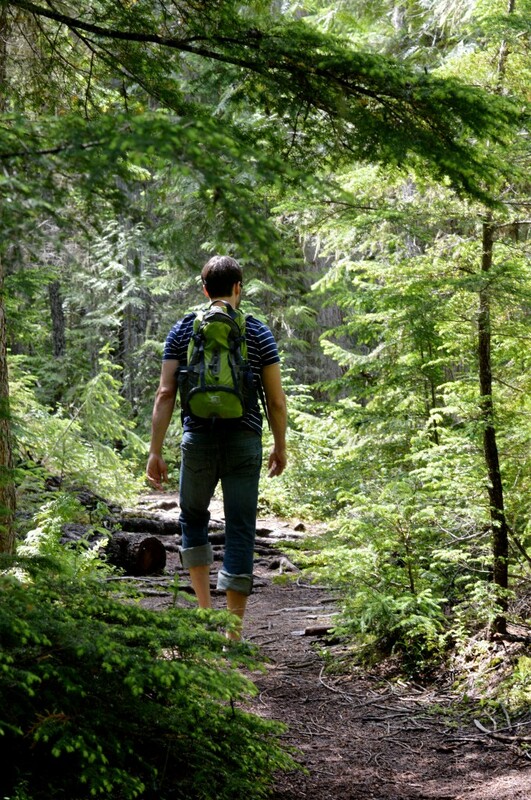 A short hike with a beautiful backcountry payout, and one we’d definitely recommend!